Eden Mobility Scarborough has now opened their prestigious new store at 11 Newborough, next to Marks & Spencer, right in the heart of Scarborough's busy and bustling shopping area. The whole area can now benefit from Eden's award-winning service. You will be certain of a warm and friendly welcome from the Scarborough team next time you visit this store. Call in for a friendly chat, where there will be plenty of tea, coffee and biscuits for everybody. We have 8 used mobility scooters that are available to view at our Scarborough store. If you are interested in purchasing a mobility scooter in Scarborough, please don't hesitate to come in to your local Eden Mobility store. We have a range of small, medium and large mobility scooters available. 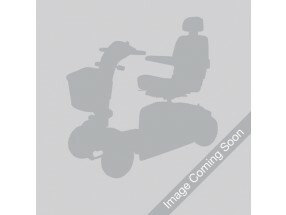 Eden Mobility have a wide range of powerchairs available in the Scarborough store. All of our powerchairs are high quality and durable products. Come and take a look at them yourself today at Eden Mobility. Come and see us at 11 Newborough and see our wide range of rise and recliner chairs. Our chairs are of the highest quality and are available in a variety of shapes, sizes and colours. Eden Mobility can provide straight and curved stairlifts in Scarborough and the surrounding area. Pop down to your local store today to see a full demonstration of our stairlift. Our friendly and knowledgeable team will be more than happy to help you in your decision of purchasing a stairlift. Eden Mobility in Scarborough have a selection of wheelchairs available in store and online. Visit your local store today to see them in person. Our friendly team will be more than happy to help you with any queries you may have.